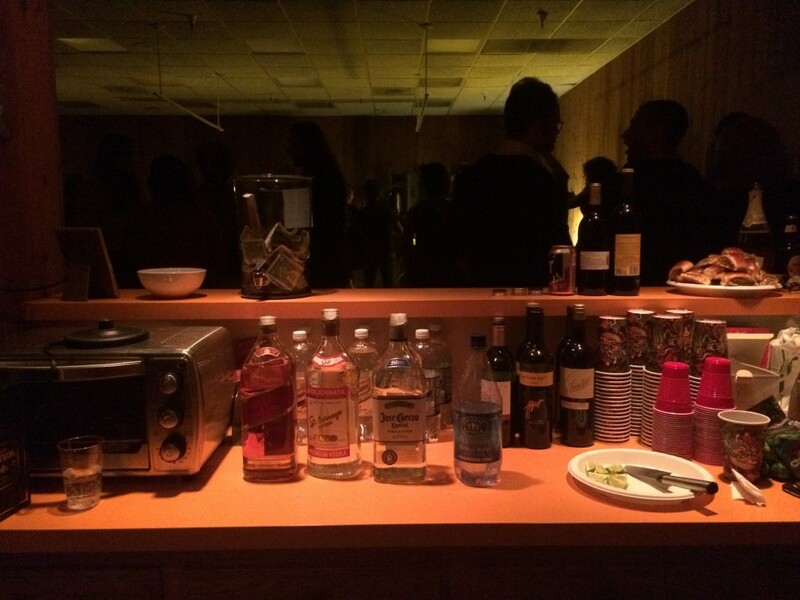 Bar at participating gallery opening. Artist Ethan Tate bartending at the ICA, Los Angeles. bar-fund is a socially engaged, public art project and artist-run initiative whose mission is to provide more financial opportunities for Los Angeles-based artists outside of the commercial gallery and private grant systems. The initiative collects and pools together tips from the bars at art openings and events across the city. 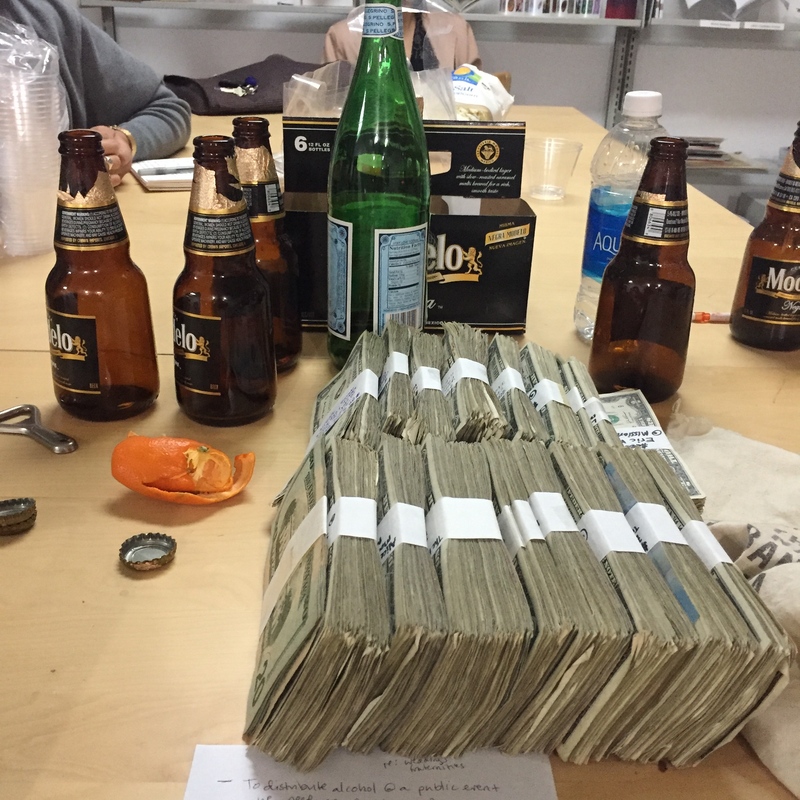 In 2017 bar-fund pooled together $11,507.80 by bartending at Armory Center for the Arts, Bob Baker Marionette Theater, Commonfield Convening, Commonwealth and Council, Charlie James Gallery, Fahrenheit, FLAX Foundation, Ghebaly Gallery, Human Resources, ICA LA, Ibid, Los Angeles Contemporary Archive (LACA), LAXART, Ltd, Main Museum, Other Places Art Fair, PANEL, Various Small Fires, and 356 Mission Road. 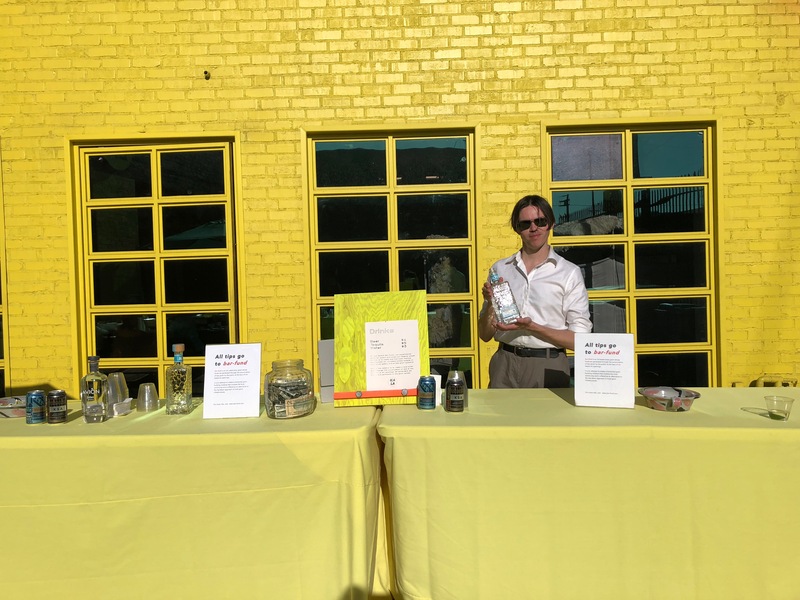 bar-fund is an unrestricted grant that is available through an open-call application process designed by participating artists and is distributed in cash tips. This is a horizontal grant-building initiative that involves the local art community, and is offered as an alternative to the top-down approach of most artist-grant infrastructures. The initiative seeks to reroute existing power dynamics in the art world by putting artists in a position to choose what and whom they want to support in their community. It also continues a public dialog about the need for more funding for individual artists in Los Angeles. Each grant cycle consists of a new group of Los Angeles-based artists who bartend and act as the grant’s panel. bar-fund is organized and founded by Tatiana Vahan.